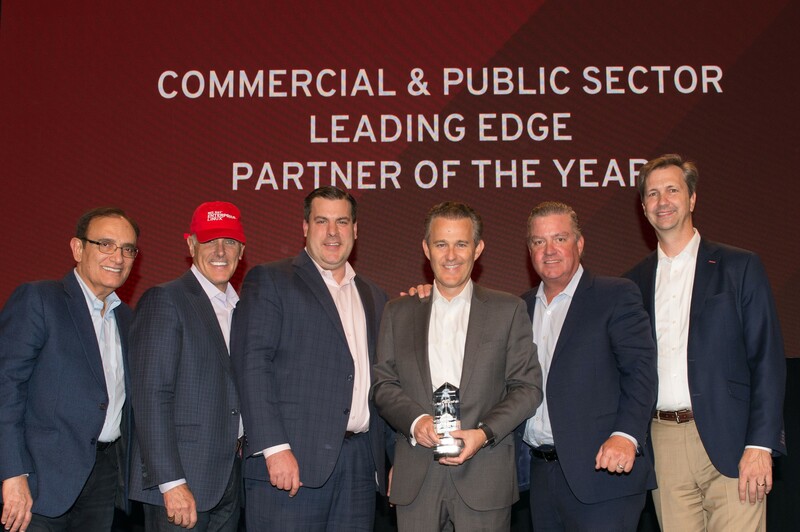 RESTON, Va., October 24, 2018 /PRNewswire/ — ORock® Technologies, Inc., announced today that it received the 2018 Red Hat Leading Edge Partner of the Year Award for Public Sector. ORock Co-Founder and CEO Gregory Hrncir accepted the award on October 10th at the Red Hat 2018 North America Partner Conference. The award recognizes and honors the Red Hat partner that has created the most change in its market using open source technologies during Red Hat’s previous fiscal year (April 2017 to March 2018). ORock architected its innovative cloud offering, ORockCloud, as a “pure-play” Red Hat cloud with a full suite of Red Hat enterprise-grade open source solutions and a private, high-speed fiber optic backbone network for superior security, performance, cost predictability, and control. As a Premier Red Hat Certified Cloud and Service Provider (CCSP), ORock provides a trusted destination for customers in the public sector and highly regulated commercial markets to access and consume Red Hat solutions in the cloud while ensuring a consistent product experience. In June 2018, ORockCloud received FedRAMP authorization at the Moderate Impact Level from the U.S. federal government for Infrastructure as a Service (IaaS), Platform as a Service (PaaS), and hybrid cloud deployments. FedRAMP, the Federal Risk and Authorization Management Program, is a government-wide program that provides a standardized approach for assessing, authorizing and continuously monitoring the security of cloud products and services. ORock Technologies provides cloud services and IaaS solutions for Independent Software Vendors and enterprise customers in government, media and entertainment, and highly regulated commercial markets. ORock operates a private, high-performance fiber optic network and a FedRAMP Moderate open source cloud to meet stringent customer requirements for data security, performance, and compliance. ORock offers several hosting and connectivity options while supporting FedRAMP authorization and lowering cost of ownership for government and commercial enterprises.